Potential referees must be nominated by established professionals or scholars, or the advisory board members in the corresponding fields. Nominated reviewers must be approved by the Editors of the Journal. Potential referees must be recognized professionals of good standing in the corresponding fields. He or she should have a profound understanding of the subject matters required to perform the review. He or she must also be actively involved in research and/or teaching within the past two (2) years when being nominated. A related Doctoral Level Degree with at least two years of research experience in the related field. He or she must be familiar with the current development of the respective fields. A reference letter from independent personnel with plausible credentials, including but not limited to: tenured professors of university in United States; scientists from Research and Development departments of industry research; research personnel from government agencies and laboratories; and other accredited institu-tions of such nature. Prior review experiences for other journals, periodicals and conferences held by accredited professional associations or societies. Final decision of selection is the responsibility of the Editor-in-Chief for the Journal. Criteria provided in this guideline only serves as the minimal requirements for the selection of review referees. 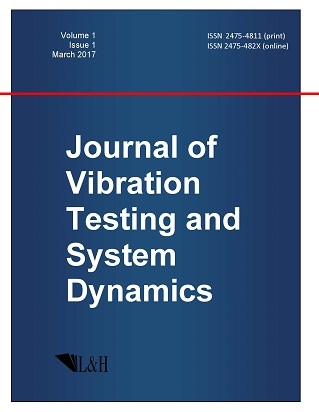 The Editor-in-Chief of the Vibration Testing and System Dynamics should consider other relevant facts as appropriate when deciding whether to accept the nomination or not.